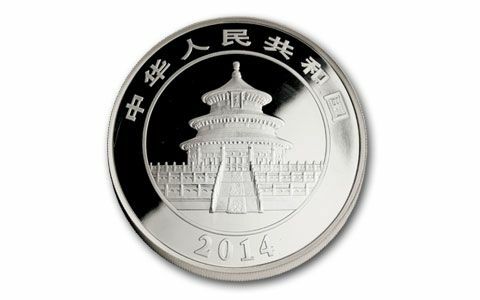 The China Silver Rush is on! 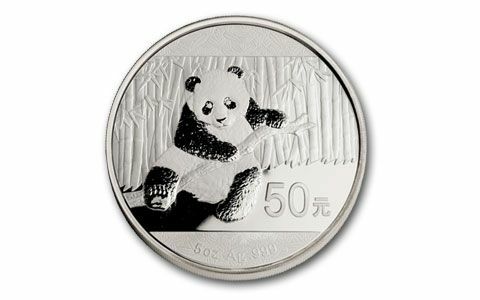 Even though the China Silver Panda has been one of the world's most popular silver coins for the last thirty years, an old 1949 law actually prevented Chinese citizens from owning these coins until the law was changed in 2004. When the silver ownership law was finally changed, millions of China's prosperous new middle class buyers flooded into the market. 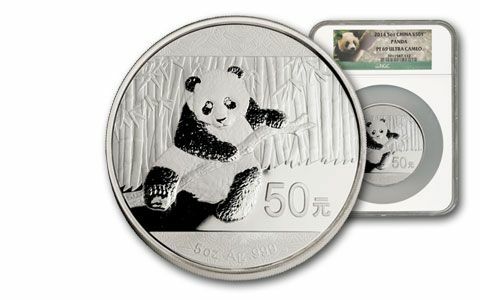 The China Silver Rush was on! Here's your chance to get on board. 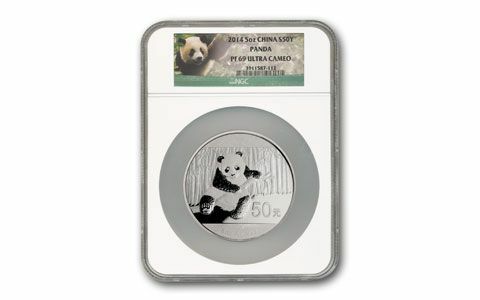 Your 2014 China Five-Ounce Silver Panda Proof is graded Proof-69 (PF69) Ultra Cameo (UC) by Numismatic Guaranty Corporation (NGC). Call now for yours!